This is the most dedicated resource for Medway Real Estate & Updates - If you're sick and tired of using the national portals, simply to find the most interesting Medway Homes for sale are already gone by the time you see them? With this page - never again let that happen with the Premium Real Estate Search. Actively search Current Medway homes, and Bank Owned Properties, as well as condos, or easily sign up for our enhanced MLS Property search which will send the listings right to you. National Portal sites try to cover all 28,500 plus cities and townships in the U.S. How well do they cover Medway MA Properties as compared to San Franciso, CA ones? The answer is: All about the same ( which is to say ....not good ). Anyone that has been searching for some time to find a home in Medway or MA in general has encountered countless frustrations - seeing a perfect property, only to find it was already sold and gone before they've seen it or currently under contract. This is MA's only webpage dedicated to exclusive Medway MA Real Estate - We're thrilled you found me and my dedicated team of agents here in the town. Our page is dedicated to helping your find the home or condo you've been searching for, while beating the competition to the punch! I personally guarantee the most streamlined and efficient MLS Search in Medway. Let all the other sites spread their resources around the other 28,499 towns! See Below for a Small SAMPLE from today of Medway MA homes for sale. Keep in mind these aea properties that've come on the market today, often in the last few minutes! To search everything Medway MA Real Estate and similar... plug in your desired criteria into the Direct MLS-PIN Access at the top of the page, and you'll have access to more Medway Listings and more timely results than Most Medway MA Realtors do! 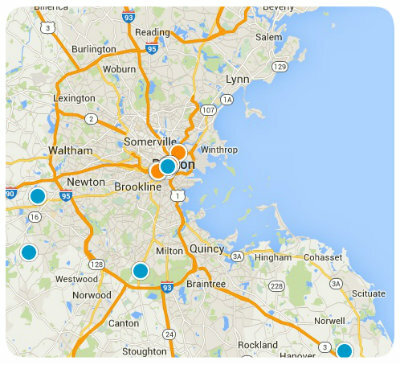 Lastly, a direct link to Medway MA MLS consumer access can be found in the preceding link. The Medway MA Real Estate market is hot once again. Please feel free to reach out to us to be notified of any hot deals in Medway today or soon to hit the market! You may also email me direct at mikedefran@gmail.com or call/Text to 617.755.8272 for property info or to schedule an appt 7 days a week. Sample of Medway Listings as of Today!